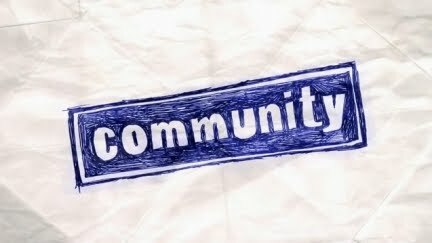 Quick Thoughts: COMMUNITY, "For a Few Paintballs More"
I'm going to say it: I wish Season 2 of Community ended with "A Fistful of Paintballs". The part two of the season finale wasn't bad, but "For a Few Paintballs More" didn't transcend "Modern Warfare" like its predecessor did; it merely matched it. "For a Few Paintballs More" was still a fun half-hour of television, and I liked how it gave Troy the chance to finally stand up and be taken seriously by the rest of the Study Group, especially Jeff. Donald Glover has been one of the bright spots of Season 2, and the way he's been able to evolve Troy has been great to watch, so I'm glad the character was given his due during the finale. I even liked how Greendale itself took center stage, and this episode reminded me how there's an entire world that does not revolve around the main seven characters. Another highlight of the episode had to do with Pierce and how his season long arc came to an end. It was admirable that he was ultimately there to bale out his former study group and his school, and I even liked how we got to know more about him as a person and his motivations for going to Greendale and being a part of such a dysfunctional group. I don't know where he can go from here, but the resolution to his story and the explanation of his villainy felt earned. There were some quibbles though like the change from the Western motif to a generic action one that was very reminiscent of "Modern Warfare". Sure, there was the whole Star Wars homages, but the episode only nodded to the film rather than dedicated the entire theme to the space opera. What I liked about "Fistful" was the fact that it stuck with one genre and milked the heck out of it. "For a Few Paintballs More" was back to being all over the place with its references and riffs, which led to a more haphazard feeling. Also, I was not a big fan of Annie's crush on Abed while he was Han Solo. It made sense from a character standpoint, but that didn't make it any less creepy and annoying. It's not because I want to see her with Jeff, although they still have crazy chemistry, but it felt like another contrived speed bump thrown in to cause drama. Just let Annie be into someone who can return the feelings for once. Maybe it's because "A Fistful of Paintballs" was so good and it exceeded my expectations, but "For a Few Paintballs More" just could not follow up the greatness of last week's episode. Wanting it to be better than both "Fisftul" and "Warfare" probably wasn't fair to begin with, but it's only natural to want the show to trump itself. While "For a Few Paintballs More" wasn't able to out do the former, it was still a pretty great episode of Community.